An aromatherapy oils guide can be of great use, as these powerful natural healers can have a wide range of benefits, including aiding with sleep issues. In fact, aromatherapy has been practiced since ancient times in Greece, Rome, China, India and Egypt. It is a newer concept in the United States, where it didn't become widely accepted until the 1980's, but today essential oils are used in everything from beauty products to bug repellants and aromatherapy is even employed in some hospitals. Essential oils are produced by plants as a form of natural protection against insects and environmental threats. They differ from fatty oils found in nuts and vegetables, such as olive oil or coconut oil, in that their molecules are much smaller and they can therefore be fully absorbed by the body, penetrating all the way down to the cellular level. This deep penetration allows them to provide powerful, targeted healing to various parts of the body. Simply speaking, by distilling essential oils from a plant you are harnessing the natural healing powers of that plant and putting it to work for you. 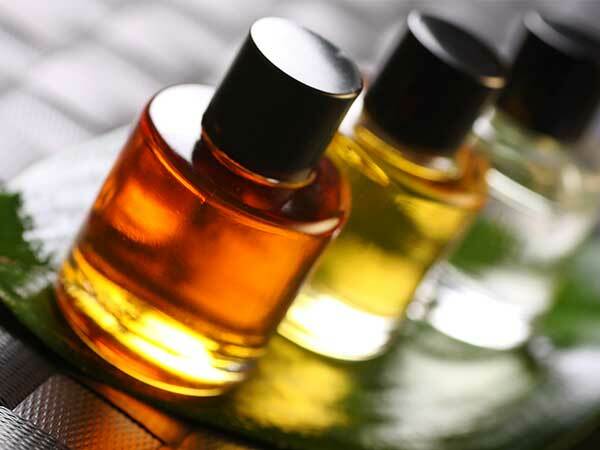 Any aromatherapy oils guide needs to take this process into consideration, as the effectiveness of any oil will depend heavily on how carefully it is distilled. Essential oils are drawn from the bark, flower, fruit, leaf, seed, or root of a plant or tree and are then distilled by separating the oil and water compounds through steaming. After distillation you are left with an oil that is highly concentrated and has a strong aroma. The healing benefits of that oil can then be employed in a variety of manners, either through inhalation, topical use, direct ingestion or by including them as an ingredient in personal care items such as shampoo, hand cream, toothpaste and even home cleaning products. The effectiveness of essential oils can be enhanced by combining them with carrier oils such as almond, coconut, olive or jojoba. Of course, no aromatherapy oils guide would be complete without a list of some of the most popular oils used for this purpose. These can include lavender, eucalyptus, grapefruit, ginger, rosemary, peppermint, lemon and sandalwood. By far the most popular of the aromatherapy oils is rose, which is particularly prized for its ability to reduce skin inflammation and improve skin tone. Rose oil is also the most expensive of any of the essential oils, adding to its cache. Essential oils have a number of benefits, from helping to treat insect bites and heal wounds, to smoothing skin, to fighting stress by promoting relaxation. It is this stress relieving property that has made aromatherapy so popular in hospitals, where essential oils are used to help ease patients' anxiety before surgical procedures and provide pain relief during childbirth. Oils such as lavender, chamomile and sandalwood are especially effective for relaxation and can be used to help with sleep related problems. If you're suffering chronic pain, battling depression or anxiety, having trouble sleeping, want to fight the signs of aging and look your best or just want your home to look and smell fresher, all you need to do is tap into the healing power of nature by using essential oils. Hopefully this quick aromatherapy oils guide will start you off in the right direction. Give aromatherapy a try today and you'll soon find yourself feeling better—naturally.